Here is a simple breakdown of how to light this scene using 2 lights. 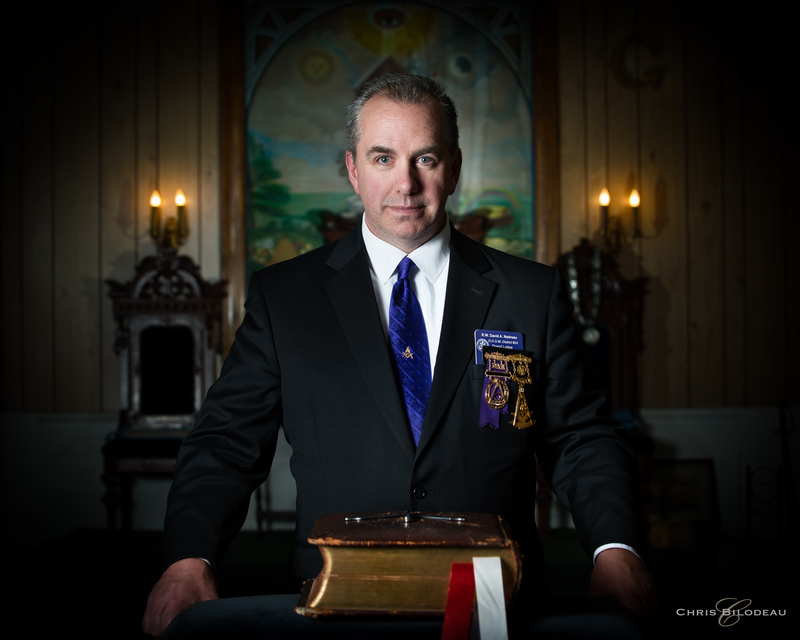 I was asked to photograph a Master of a Grand Lodge in Massachusetts. When I got to the location, there was a lot going on. The room is filled with a lot of historical architecture and symbols. 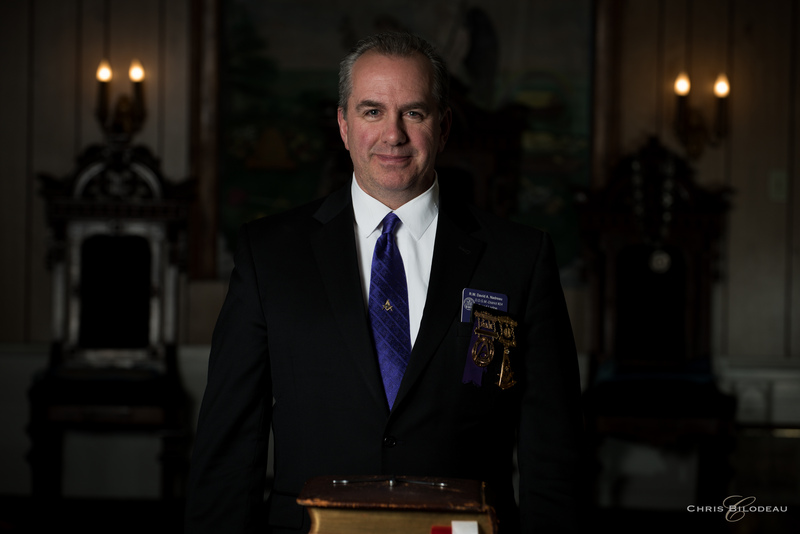 I know this room quite well since I am also a 3rd Degree Mason. That said, I was here to get the shot. Profoto AcuteB2 battery pack with Profoto head and 3 foot Silver Umbrella Deep. I put a softening fabric over the umbrella to create a soft box feel. Blah. No drama. The solution was simple and effective. I used a small Nikon SB-910 Speed light and placed it 25 feet behind him hidden by his body and aimed it at the mural. I used it in manual mode set to 1/4 power. It was triggered wirelessly at the same time as the main Profoto strobe using Phottix radio transmitters. By using a slow shutter speed (1/60 second) I was able to mix in the ambient light nicely and let those candles look more like candles and not 4 bright blobs in the back. It also lets you appreciate the Jewels (necklace) in the back. The overall image works well and did not require a large complicated set-up. GREAT shot. I love the formality captured. Great stuff, Chris.